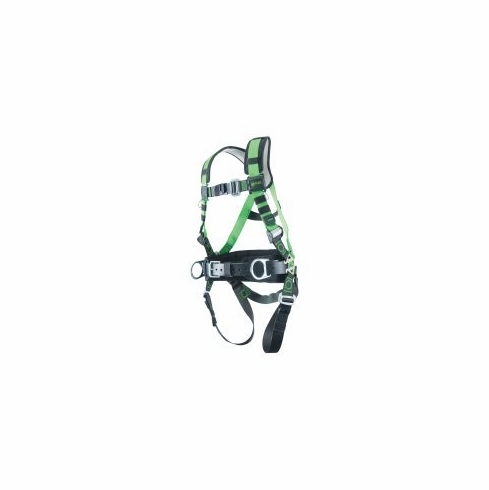 Designed to meet the durability, all-day comfort and safety requirements while working at heights on a construction site, the new Miller Revolution Construction Harnesses offer the same key features that have made the original Miller Revolution Harnesses the most comfortable and user-friendly products available. A construction site is a tough environment, however the design and materials used on these construction harnesses are up to the task. In fact, the harnesses use heavy-duty webbing that is almost twice as strong as the standards require, and is certain to provide the longest service life possible.